This course is replacing an older version of the course that is being discontinued, and may include updates to units, majors or similar. Enrolments for this new course are open now. The Bachelor of Arts offers students a unique range of interdisciplinary skills. Students develop their capacity for critical analysis, creativity and problem-solving, as well as a thorough understanding of the relationship between theory, research and practice. They choose from a wide range of major study areas, equipping them for diverse careers in areas such as media, management, finance, education and government. A key component of the degree is the Grand Challenges final-year project. Conducted in collaboration with the Swinburne Institute of Social Research, the project fosters team-based research activity and challenges students to go beyond the comfort of discipline boundaries. Students develop valuable collaborative skills as they research innovative solutions to contemporary issues facing society. The course offers students lifelong learning skills with a global and multidisciplinary awareness. It's not every internship that gives you the chance to see Beyoncé or meet Oprah. 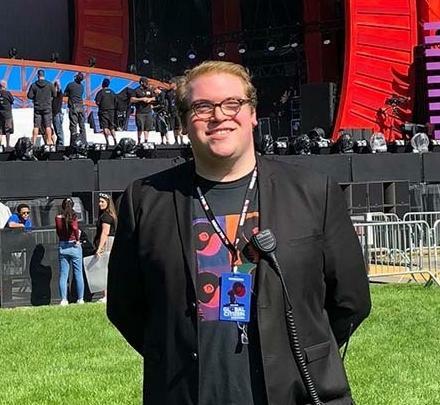 But they were just some of the incredible opportunities Politics and International Relations student William experienced during his internship with Global Citizen in New York. "It gave me a behind-the-scenes look at how an NGO such as Global Citizen operates,” he says. Successful completion of the Bachelor of Arts requires students to complete units of study to the value of 300 credit points. All units of study are valued at 12.5 credit points unless otherwise stated. coherently articulate a line of reasoning demonstrating cultural sensitivity and apply a framework to analyse and offer solutions to ethical dilemmas in local and international contexts. Double degrees provide the opportunity to complete a placement in your preferred field. Swinburne Arts graduates are well equipped to find work in areas where employers put a high premium on well-developed conceptual understanding and other critical and creative reasoning skills needed to come to terms with and respond effectively to the complex and changing demands of the contemporary workplace. Recent research emphasises the premium which employers place upon communication skills, collaboration, and flexible problem solving among Arts graduates. Area where graduates may be employed include: policy analysis and development, research, community development, administration, public relations, publishing and media. Depending on their area of specialisation, Arts graduates may find employment as journalists, librarians, interpreters, sociologists, publishers, internet providers, marketers, writers and in the games industry, particularly in areas focusing on interactive content creation, game design, interface design and rapid prototyping. Graduates may also be equipped to pursue a career in the broader media, digital media/multimedia and communications sectors. Graduates of the Digital Advertising Technology major will be eligible for membership of the Australasian Interactive Media Industry Association (AIMIA). Graduates of the Journalism major will be eligible to apply for membership of the Media, Entertainment and Arts Alliance (MEAA). Meeting the minimum entry requirements for the course does not guarantee offer of a place. See Admissions at Swinburne, for general information about the admissions process.